Vice President Yemi Osinbajo says he is feeling sad over the trial of the Chief Justice of Nigeria (CJN) Justice Walter Onnoghen, on allegations of false and non-asset declarations. 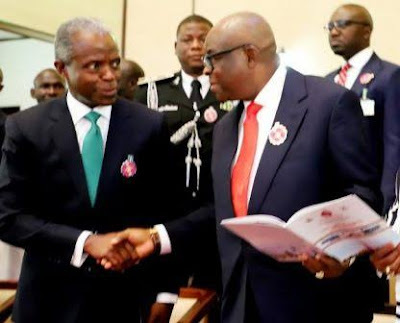 The Code of Conduct Tribunal (CCT) had scheduled Jan. 14 for the arraignment of the CJN. 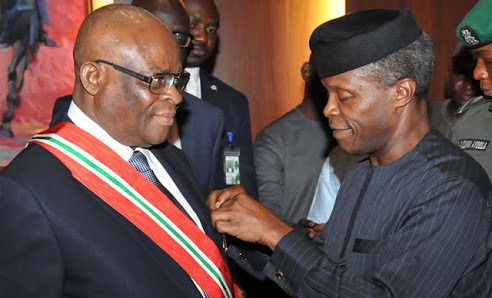 However, the process was stalled as the CJN failed to appear before the CCT; and a Federal High Court sitting in Abuja also ordered the CCT to halt proceedings. “So, even where somebody else calls a public officer such as Ibrahim Magu of EFCC and says something or the other, he will say `no, no, no, Mr president has said I can do my work. “So, I do not feel particularly good about it; as a matter of fact, I feel very sad; that it is going on at all, that is my position."